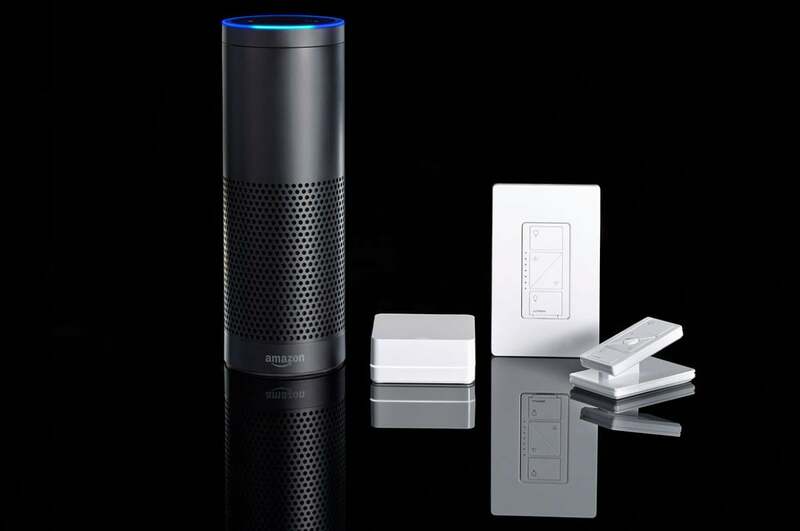 Lutron announced today that its Caséta wireless lighting systems are now compatible with Amazon’s Alexa voice-control system, enabling owners of Amazon’s Echo, Echo Dot, Amazon Tap, or Amazon Fire TV to control Caséta-connected lighting fixtures with voice commands. “Caséta users who also own Alexa-capable devices can now dim, brighten, and control individual lights or groups of lights using their voice,” Lutron product manager Neil Orchowski said in an embargoed briefing last week. Lutron’s Caséta Wireless Smart Bridge and Caséta Wireless Smart Bridge Pro can control up to 50 Caséta lighting-control devices, using Lutron’s proprietary Clear Connect technology. The company’s Caséta Wireless Smart Bridge Pro is also compatible with Apple’s HomeKit platform, and the company has partnered with Nest (participating in the Works With Nest program), Comcast (it can be integrated into Xfinity Home systems), and several smart thermostat manufacturers (including Honeywell, Carrier, and Ecobee). Lutron’s Caséta Pico remote control next to a Caséta plug-in lamp module. The Caséta line also includes in-wall switches and dimmers. 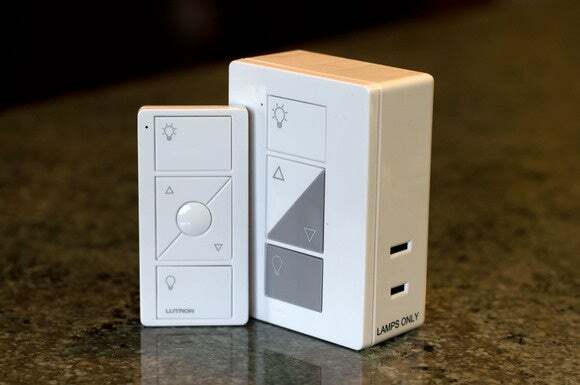 There is a broad range of plug-in modules and in-wall dimmers, switches, and controllers in Lutron’s Caséta line, and its unique Pico remote controls are terrific. “They’re great for those times when you don’t want to speak,” Orchowski said, “whether that’s when you’re in your living room watching a movie, or you’re in bed and don’t want to disturb your partner.” The Caséta line also enables you to group multiple lights into “rooms,” and multiple “rooms” into “zones.” You can then utter a command such as “Turn on the upstairs lights” to control multiple lights on that floor. Caséta Wireless Smart Bridges can also open and close Lutron’s motorized window shades, but you won’t be able to ask Alexa to do that for you now, and Orchowski declined to say if that feature would be added down the road. “We don’t discuss future roadmaps,” he said. Why this is important: Voice control is rapidly becoming the next big thing in connected-home technology, and Amazon’s eagerness to enable other manufacturers to tap into its Alexa voice-recognition technology is rapidly putting the company way out in front. While Lutron’s Caséta platform uses a proprietary communications protocol, this hasn’t stopped the company from embracing other connected-home platforms, and it will likely build a bridge to whatever technology ends up becoming the de facto smart-home standard.